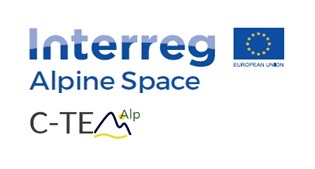 This website provides information about the Alpine Space Project – C-TEMAlp . Continuity of Traditional Enterprises in Mountain Alpine Space areas. 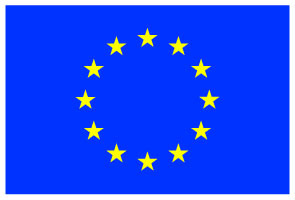 The C-TEMAlp project bodies’ aim is to keep the information on this website up to date and accurate. However, the C-TEMAlp project partner and other project bodies will not accept any responsibility or liability regarding its website’s contents, nor give any warranty for its accuracy. If content errors or technical problems occur, the project partners are determined to correct them. However, they cannot give warranty as to the operation, quality or functionality of the site. There may be occasions when access to the website is delayed or restricted for reasons the project partners cannot influence. The C-TEMAlp project partners disclaim all responsibility for any damages or losses arising from the use of this site or inability to use it as well as from any action or decision taken as a result of using this site or material provided on the website or linked to the website. Furthermore, the C-TEMAlp project partners have no responsibility or control over any of the content that appears on the external sites linked to this website. 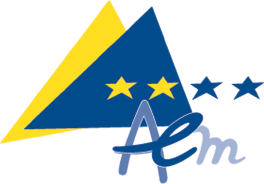 Unless otherwise stated, the copyright, database rights and similar rights in all material published on this site are owned by the C-TEMAlp partners. You are permitted to print or download extracts from this material for your personal use. This material is allowed to be used for public use, provided the source is acknowledged. None of this material may be used for any commercial use. 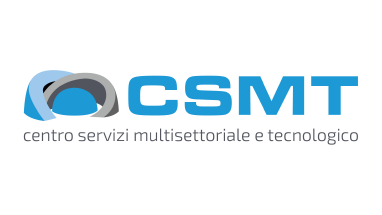 The C-TEMAlp platform for business transfer in the Alpine space area dedicates its services to interested companies and entrepreneurs, who can search especially for interesting company profiles on the platform. By interest in one of the published profiles the companies or entrepreneurs can contact the responsible local project partner. The local project partner will revise the demands established by the advertiser. If these demands largely match the expression of interests, the local project partner will forward the expression of interest to the advertiser. The advertiser can then decide whether he wants to personally contact the interested party or not. There is no legal right to the transmission of the expression of interest to the advertiser. This applies in particular in cases of serious doubts regarding its reliability. By interest in advertising a company profile please contact the local project partner responsible for your region. There is no legal right to have a suggested company profile published at the platform. In general only those company profiles will be published, that have a reference to business transfer. The operators and the local project partners are authorized to immediately deactivate or delete company profiles without prior or subsequent notification, as soon as they achieve information that the entry is illegal and/or immoral and/or violates third-parties rights or that the registration was deliberately achieved through false statements and/or wrong facts. The request for the configuration of a company profile can only be made by the entrepreneur him- or herself or in cases of legal entities only by the owners or shareholders. In cases of requests by third parties, the request has to be accompanied by a power of attorney as well as the written consent of the entrepreneur for registration. The company profiles will be published during a period of 12 months. After this period the publication can be extended upon request. At the latest the company profile will be deleted from the platform 2 years after the date of registration. When the advertiser can not be reached by the local project partner, after several attempts the local project partner is entitled to delete the company profile. The company profiles only include the data transmitted by the advertiser. These data will be verified by the responsible local project partner for its plausibility within its bounds of possibility, whereby the regional partners strive to ensure complete and correct details. The advertiser assumes the responsibility for the veracity and currentness of the data. The company profiles must comply with the legal regulations in force. Each advertiser is obligated to ensure the laws and regulations in force (for example commercial and competition regulations) and to not violate any rights of third parties. The data on the platform may only be used in connection with the arrangements of the business succession. Links to the C-TEMAlp platform are only permitted through hyperlinks, provided that the platform is the only content of the accessed browser window. By using the platform no contract is concluded with the operator or regional project partners. The performance of the contracts between advertisers and users on the basis of the information of the platform takes only place between the advertiser and the user. The operator of the platform and the regional project partner do not assume any warranty for a successful business transfer. Also any third-party claims against the regional project partners are excluded. As far as legally admissible, each advertiser and user releases the operator and the regional project partners from any claims, which are made by third parties against them by reason of violating their rights through the use of the platform. The release also includes the compensation of costs of a necessary legal representation including legal fees. If content errors or technical problems occur, the operator and the responsible project partner are determined to correct them. They can not give warranty as to the operator, quality or functionality of the site. There may be occasions when access to the website is delayed or restricted for reasons that are beyond control of the operator and the project partners. As far as the links on the platform refer to other websites, we explicitly like to state that we do not have any influence on the structure and the content of the linked pages. Therefore we herewith disassociate ourselves expressly from all the content of all the sites linked from our website and state that their contents are not our own. Should any provision of these general terms become ineffective, the other regulations remain unaffected. The invalid clauses shall be replaced by another, which comes nearest to the purpose of the invalid clauses.